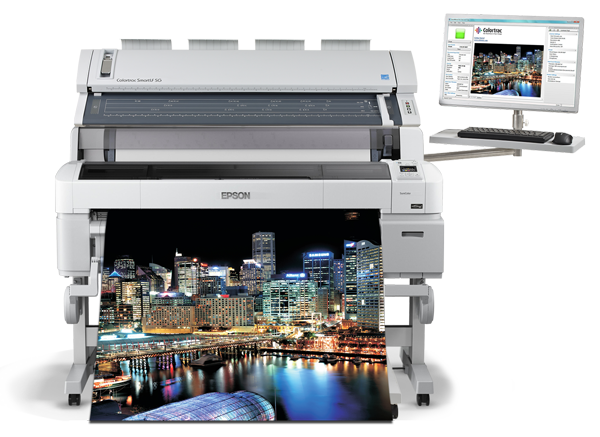 Professional MFP Solution for wide format Color and Monochrome imaging. Get professional camera technology in an all new CCD scanner. Choose the highest quality scans for all your document types, and get it right the first time. Produce superior quality images and copies of 36 inch document width. Scan all types of paper and mounted documents with super easy and fast adjustment for different media thicknesses. The compact Colortrac Flex SG 36c includes the SmartLF SG 36c scanner from Colortrac. With higher quality CCD imaging, higher scanning speed and Super-Speed data transfer, the SmartLF SG Series of scanners provides fast, high quality scans or copies of wide format maps, site plans, engineering drawings, blueprints, architectural renderings, HD COLOR graphics and many other technical documents. Gigabit Ethernet, Full Size Keyboard & Mouse, Integrated 19" Widescreen Flat Panel Display, Windows 7). Do you have an existing printer and are now considering adding a scanner to create a Multi-functional Copier / Scanning solution? 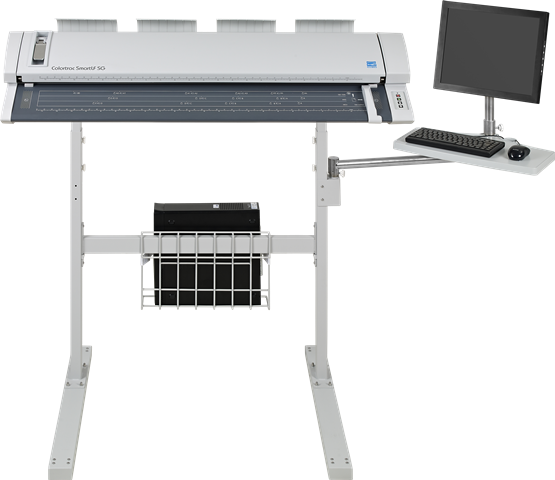 Colortrac professional FLEX systems will enable you to streamline your workflow and improve productivity by complementing your existing large format printer.